UP's Santa Ana Branch in Anaheim, CA, is a railfan's paradise of street running and wig-wag signals. 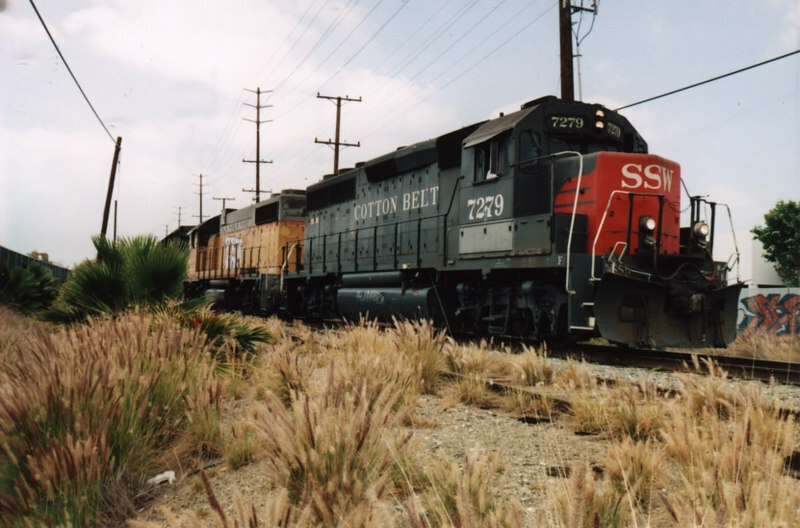 Kneeling in the tall weeds got me this shot of an unblemished Cotton Belt unit approaching the Cerritos Ave. crossing. Great angle. I love the weeds. I wish the power lines weren't there though. Your horizon is a bit off, but it seems to be ok in this case. It gives the train more of a sense of motion.